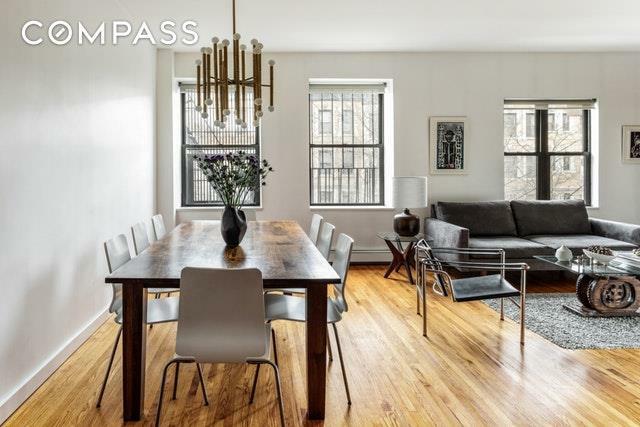 Exceptional and rare two-bedroom property in prime Prospect Heights! This beautifully designed home boasts triple south, north and east exposures, bright, sunny treetop views, high ceilings and a spacious, open layout. 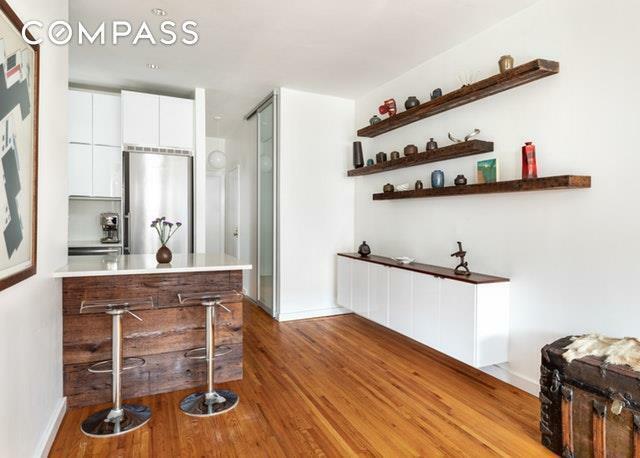 The attention to detail and design is evident everywhere you turn, from the low-profile custom built-ins, reclaimed wood accents and exposed brick walls to the harmonious tile and Caesarstone throughout. You'll enjoy top line appliances and finishes in the impeccably designed kitchen and bath, including Liebherr, Bosch, Grohe, Geberit, Robern and Duravit. In addition, behind custom floor-to-ceiling sliding translucent glass closet doors, this home offers abundant and efficient storage with floor to ceiling Elfa closet storage solutions that can easily be configured for your needs. 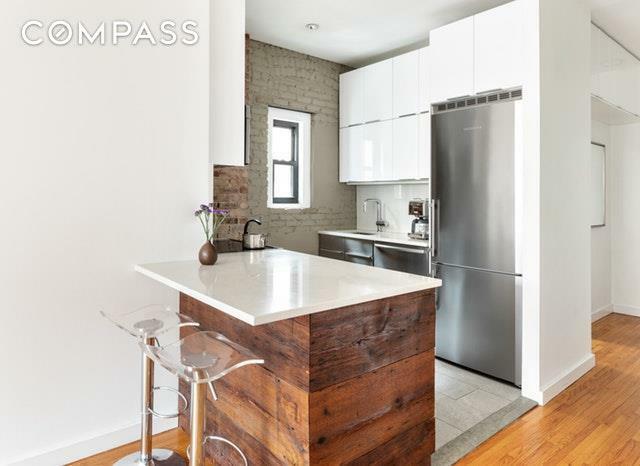 This property is in a well-maintained 32-unit, pet-friendly coop on a brownstone block in the historic landmark district, with excellent financials and a newly renovated rooftop terrace with city views, great for summertime dining and relaxing. 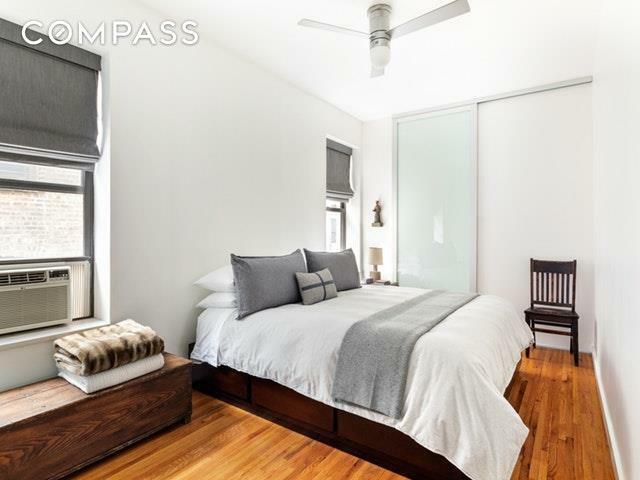 Ideally located just blocks from Prospect Park, Brooklyn Museum, Central Library, Botanic Gardens, Grand Army Plaza green market, shops, restaurants, bars and multiple trains.